Every mk2 you’ll see by now will always have its own unique story. Let me talk you through the gist I got from this one in the short time I had it and the reasons we’ve chosen to sound deaden and install a mid level digital streaming system and completely conceal it other than it’s master input, a period Panasonic tape/cassette player. 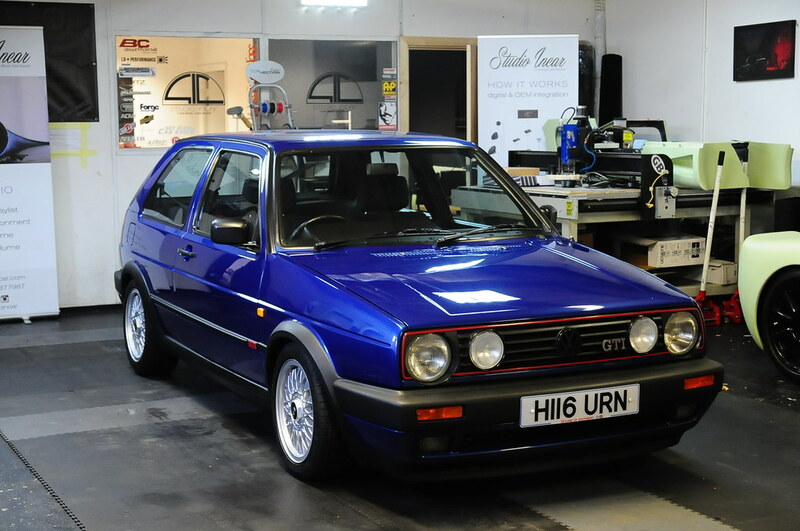 This mk2 has completely floored me. I’ve built 100’s of mk2’s from way back and a lot of my own and I’ve never seen one like this. 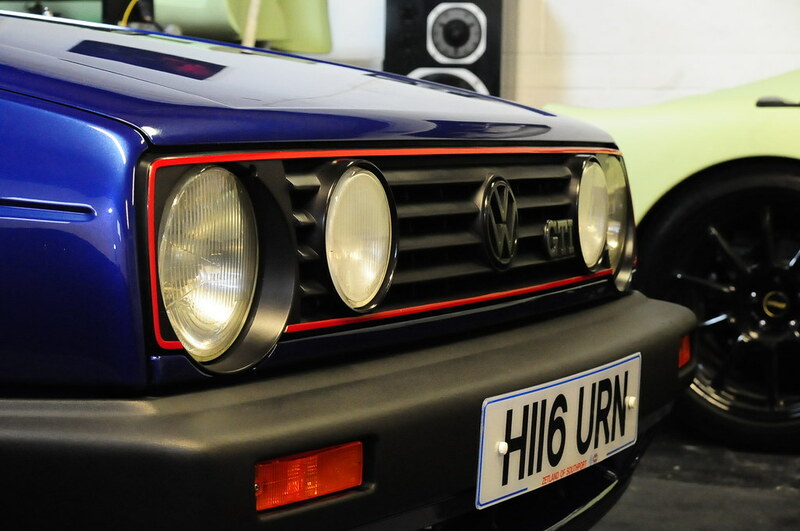 From the all original immaculate bumpers and lights through to the perfect panel gaps. 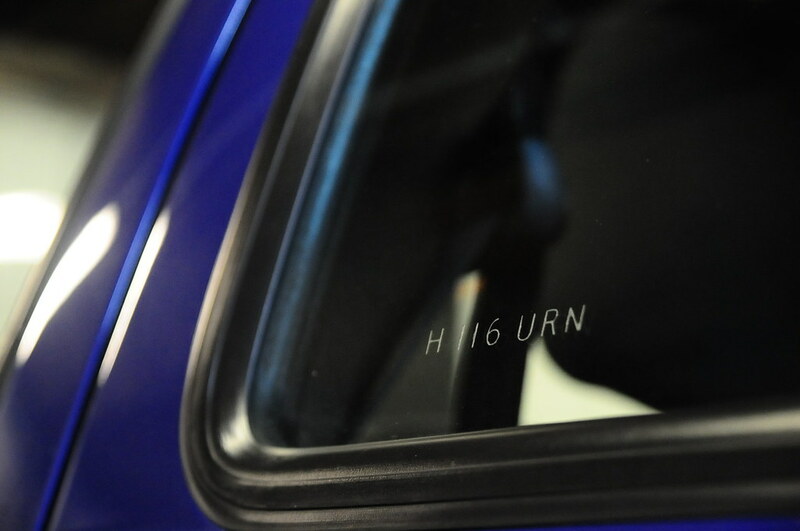 Each piece of glass is from new and is stamped accordingly. All genuine un-cut arches and the icing on the cake whilst stripping the car down for sound deadening was to find all of the original build sheets from new, one under the rear passenger carpet, the other on the rear of the centre console. I’ve seen pictures of these before but never one in person. I can only pick it up on not having the boot vinyl, however this is more than made up for by the wiper being in its correct position. Super original.. At first glance. Now I went to collect this car from it’s home and owner Darren so I was already briefed on the car. 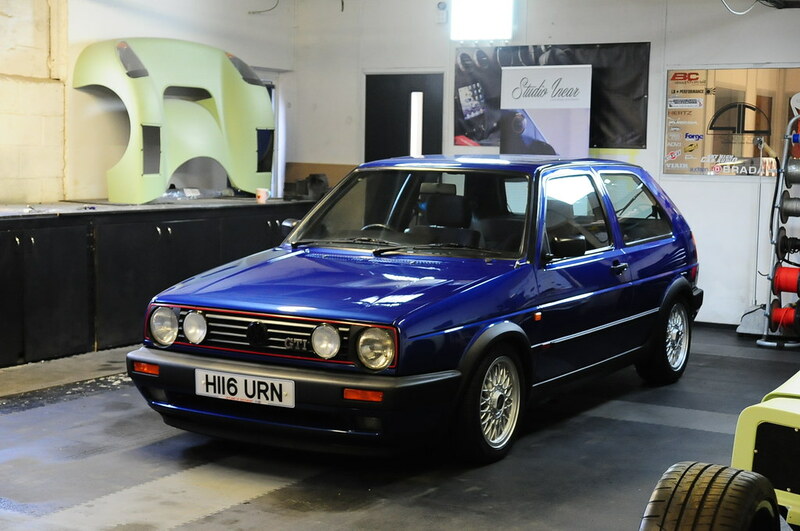 It was a Thursday I took the call, and we do book up quite well although that day I had just finished the GTR and the Evo one week ahead of schedule so it was decided we could whip Darren’s mk2 into this otherwise empty week (I was looking forward to a good chill out!) so everything moved quite quickly and the car was with us Saturday afternoon after a fantastic drive back down South… Anyway as I was saying, I already knew the car’s secret and I was excited to experience it for myself. 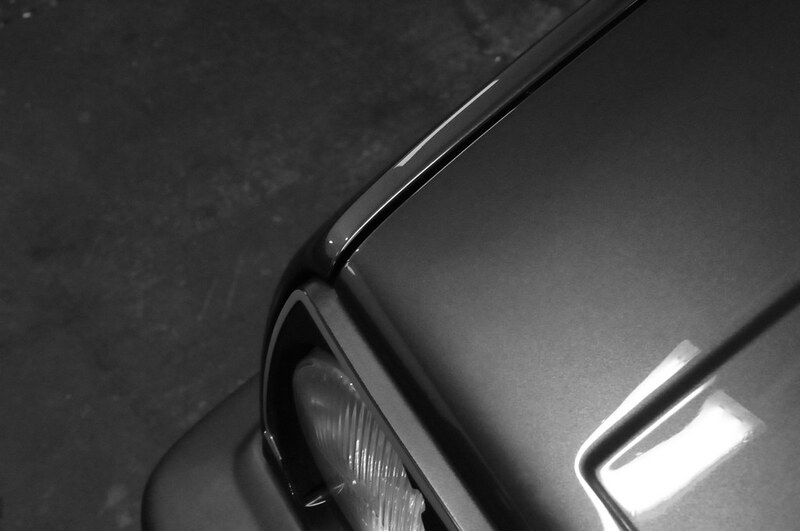 That Willwood mini 4 pot caliper behind what I’m pretty sure is a BMW BBS RZ is the only thing from outside the car that hints at this mk2’s R32 engine and 6 speed box (Look at how that bumper lines up with the wing!). They do a fantastic job of keeping it in check and the engine feels right at home. The name of the company who did the conversion escapes me (JKS/AKS?) although it is one of the nicest, respectful conversions I’m yet to see, enough for me to ask Darren who had completed it. That 6th gear really is worth the extra effort come swap day. So it seems Subtlety is the key to this car’s character, not one to stand out or shout about its performance but just getting the job done where it matters. Our initial conversation started aiming towards sound deadening the car as the road noise on long trips was too much. 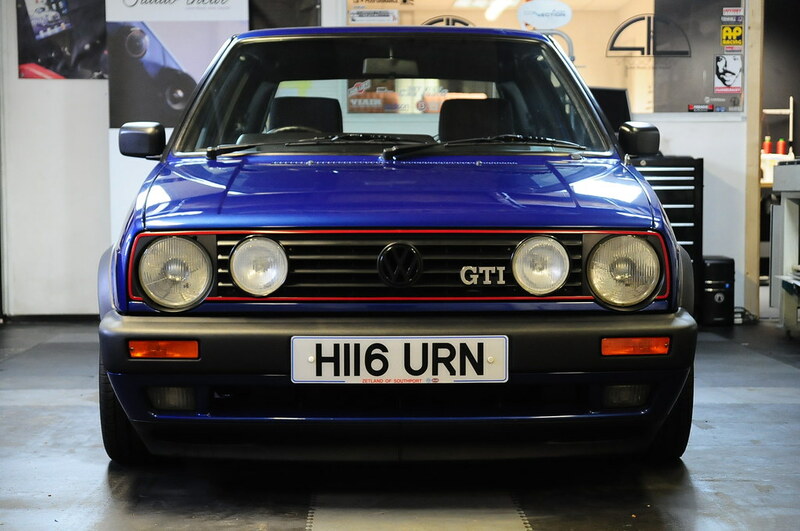 On a side note, due to using a modified factory rear box this car sounds nothing short of standard from an exhaust note point of view, I’m a big fan of that personally but this is more about actual road noise in a classic car, thin metals, tyres on the ground, minimal damping from factory it’s all odds against for the mk2 unfortunately. This is when the car has to be at it’s most honest really, there is nowhere to hide any nasties when on display like this. I’ve never had a feeling of “this isn’t right” when taking a car apart before, but each screw I took out that was in its correct place and had obviously not been removed before made me feel worse and having to keep reminding myself we are doing this for good reason. It’s at this stage I also started looking for signs of a painted car, as the exterior of the car is incredible and if left simply down to chance I doubt original paint would last like this however the finish on the car is very similar to an original finish in its execution albeit ever so slightly “flatter”, like one more wet flat over stock, I had a feeling it had been painted but couldn’t find a tell-tail anywhere. Turns out the car had been fully painted by the well regarded Greg Howell of Southam Bodies. As always, exceptional job mate. 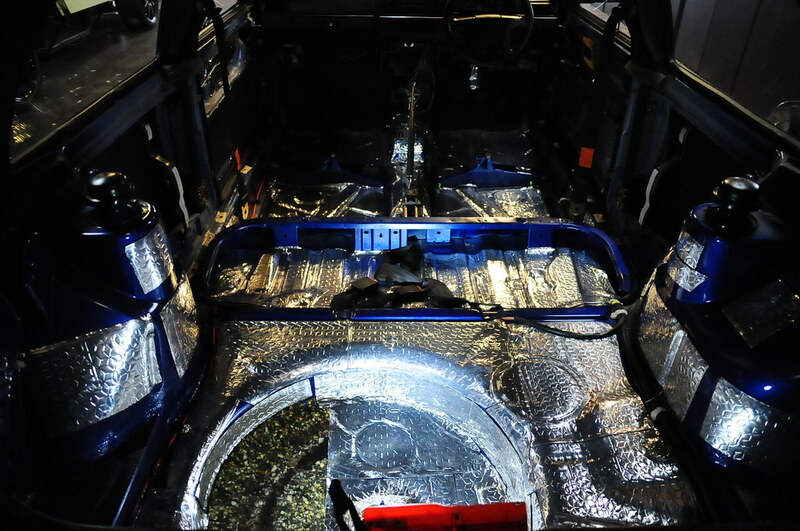 Skins sound deadening was applied to each panel. This product essentially adds mass to a panel to change the frequency it vibrates at (it’s resonant frequency) and it shifts it down to a much lower frequency less detectable by the human ear/brain and it works. Its an improvement all across the board even if the end game isn’t about stereo sound performance but simply to have a nicer car to drive. It’s a common misconception that it cures rattles, It doesn’t. 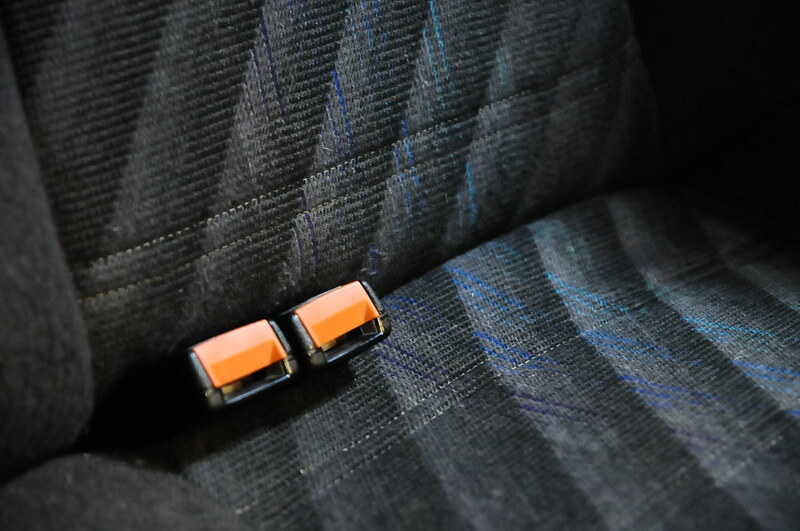 This task is more down to the correct removal and refitting of panels and also keeping your eye on the problem over time with newer car’s, isolating as you go along. With the car now deadened it was time to lay cables down and go to work on mounting and hiding our new system. 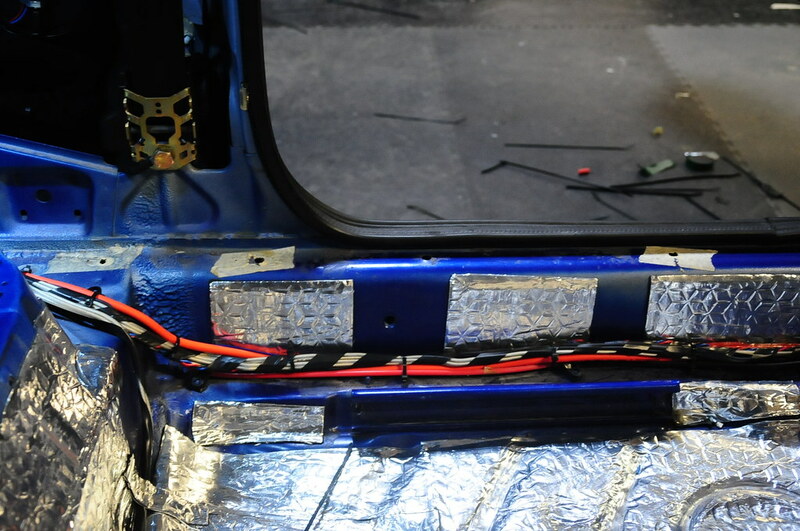 With all cables laid and strapped down it was onto making a discrete rack for the amp and bonding this in the rear quarter of the car. The amplifier in question is an Audison AP 5.9Bit, 5 channels, DSP, Signal sensing, Digital input, Analogue input and Aux with DRC control. 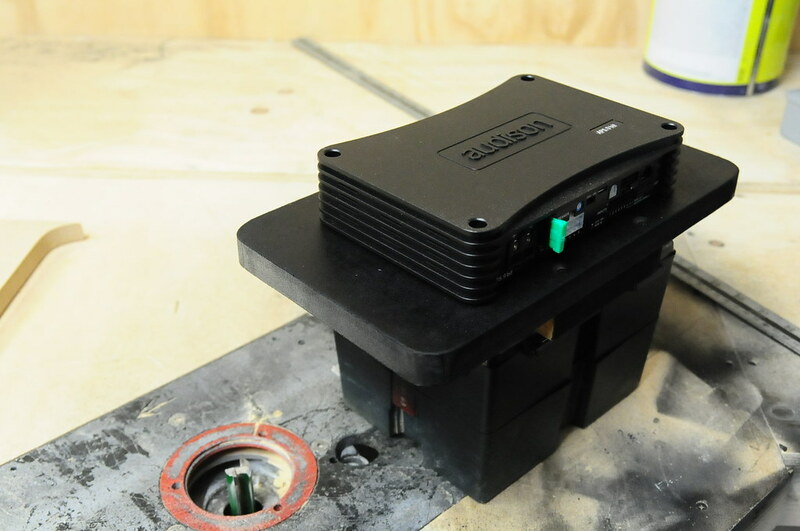 A clever piece of kit that runs cool, software controlled so not much need for access to the physical amplifier. 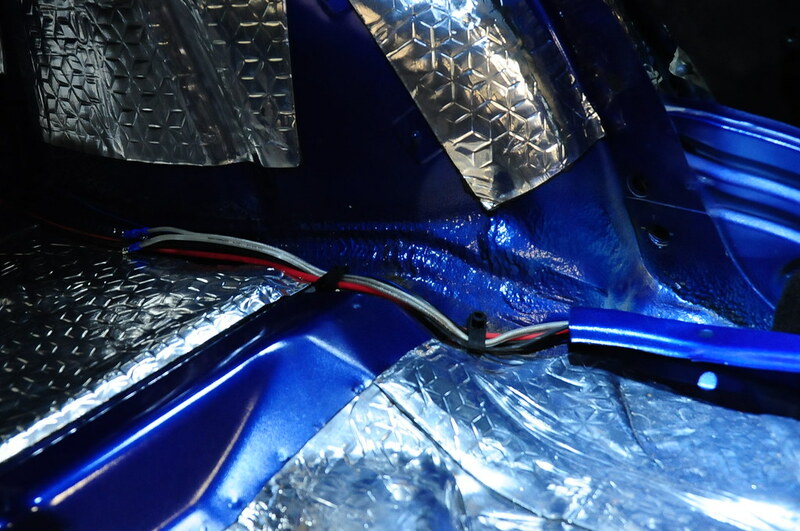 It was decided we’d fit the amplifier inside the rear quarter panel of the car behind the door card, it’s well vented although it wouldn’t really matter with how cool these amps run. 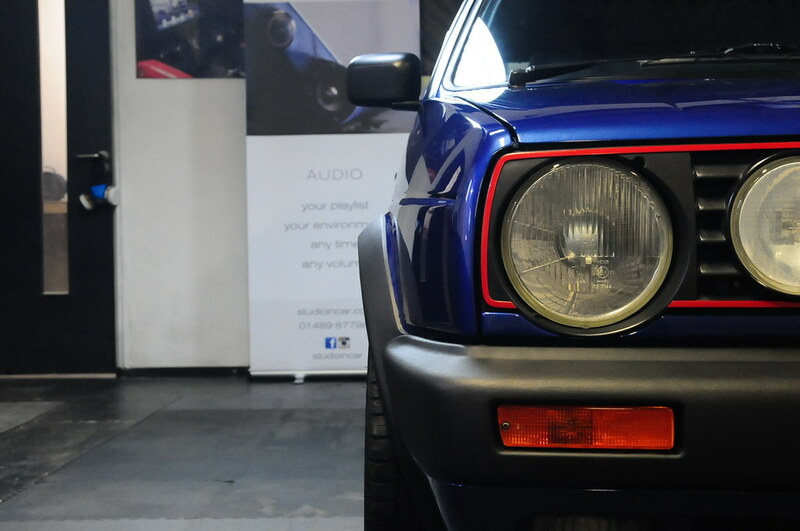 With these now in place it was time to install the front speakers (Audison Voce K5 components) and test. 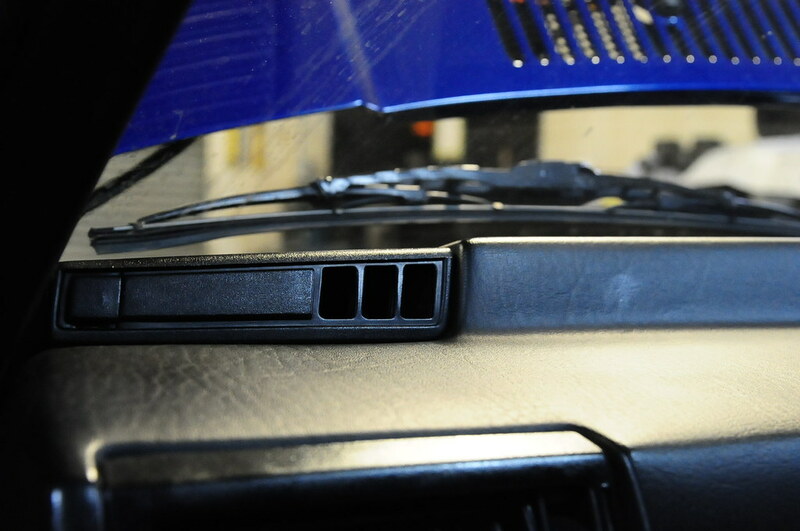 Remembering the brief for the job, that we don’t want to see a single change, simply have a much lower cabin noise and far better output from the stereo I decided to modify the inside of the original plastic door pocket panels. 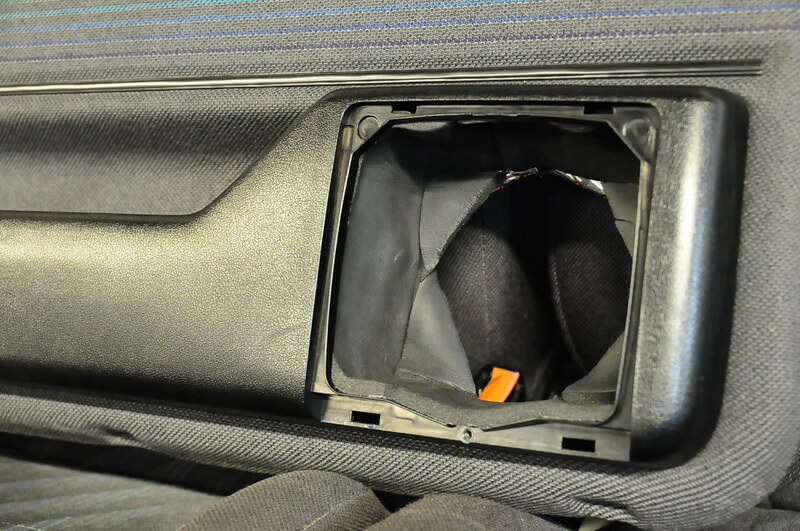 These were victims of two layers of panel deadening and then a thermo-acoustic liner to try and calm them down, the rear of the door cards where deadened also. Typically I fit a door build here and strap that to the metal skin of the door, you’ll have seen that if you follow my work however when trying to keep everything discrete like this it is to be expected that we are to be hit with a compromise somewhere along the line. 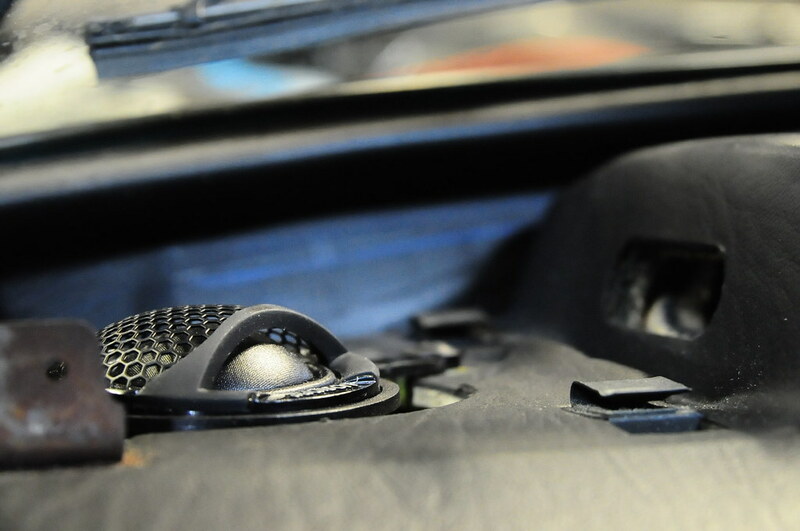 That said, this worked very well..
Tweeters were mounted on some modified rings and fitted in the factory tweeter point. The DSP was worked to try and control the fact they’re aimed at the window from stock and retain a solid sound image in the front of the car, the EQ of each channel also took some work to control this as it’s quite a “peaky” situation for the high frequency driver to be in. Again, discretion/compromise although the right spec kit should work in your favour. Dash is in incredible condition. The DRC controller was mounted in the top right of the glovebox for subwoofer control on the move and volume should you wish to not use your streaming devices local volume control, this is a few inches away from the tape deck. 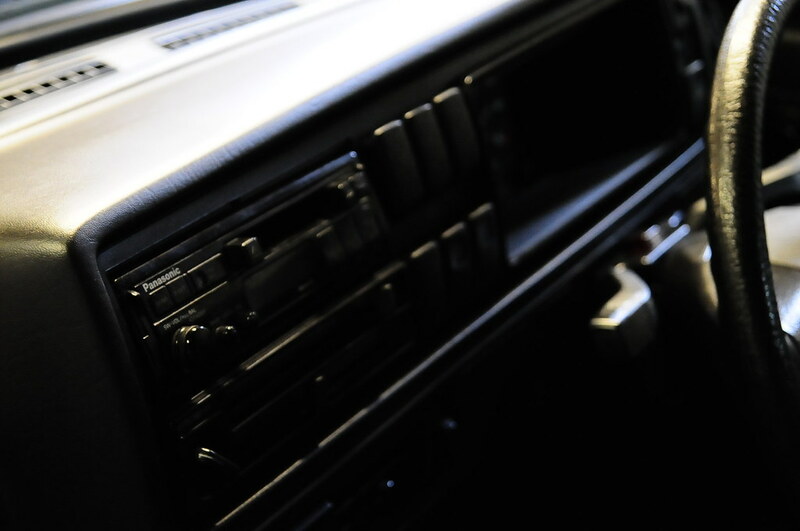 The tape deck was linked to the amplifiers master inputs via its own outputs, it switches the system on when you turn the volume dial. It’s a pretty cool feeling switching on cutting edge sound equipment with a 1990 source in a 89/90 car… Its also quite nostalgic listening to how powerful yet smooth bass is from a cassette recording. It’s not accurate, it is coloured but it sounds fun. It’s time to put the interior back together now we’re tested and all good. A handful of things bug me when taking apart/rebuilding a mk2 and my main grip is rear door cards. 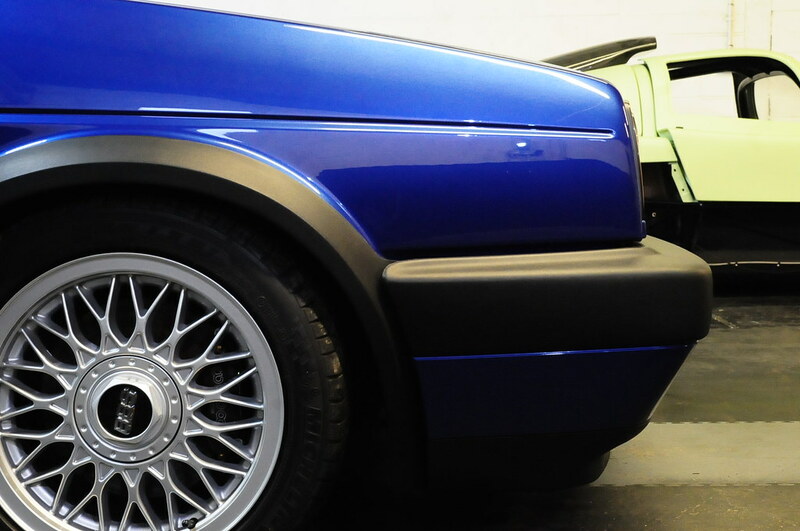 With no shame I state I’m the man at fitting mk2 rear door cards. They’re a pain in the arse to do, but that’s no excuse for a poor job is it? 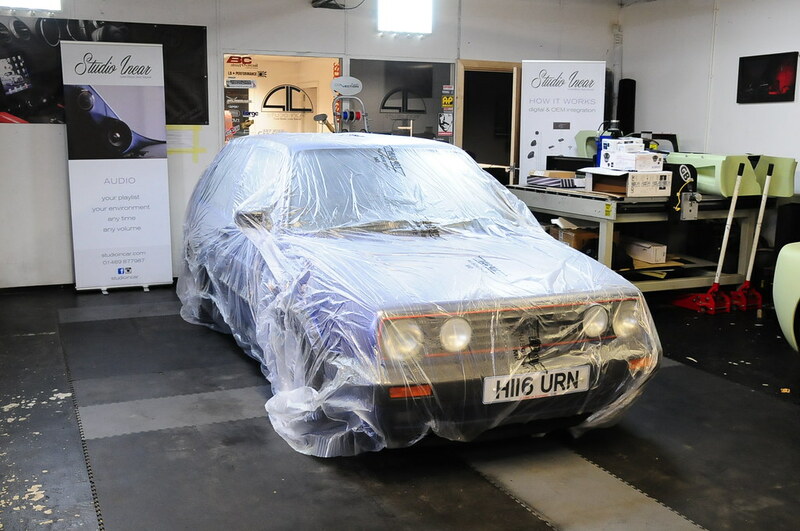 As is with most mk2 rear door card’s this cars rear door cards were incorrectly fitted leaving an inch gap all the way along the rear window seal and squashing the rear quarter water seal. They now fit perfectly. 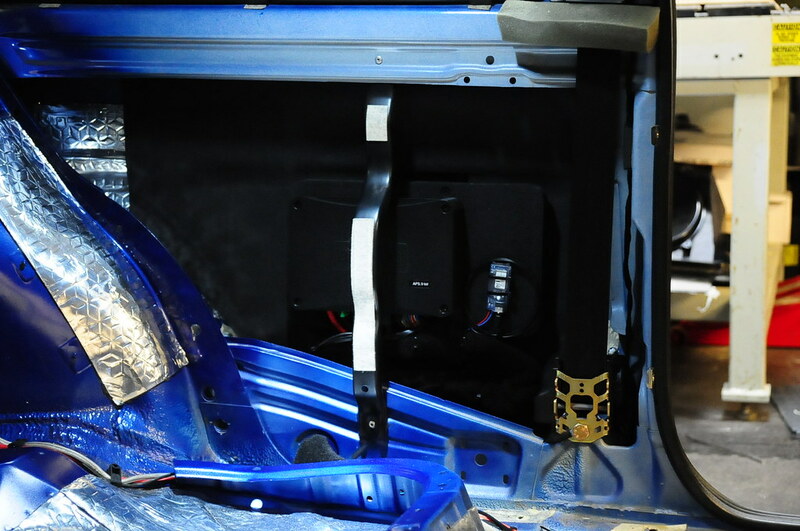 There were other little areas corrected along the way apparently associated with the alarm/tracker fit. It’s worth checking things like this thoroughly, I welcome it here as things can go unseen quite easily. 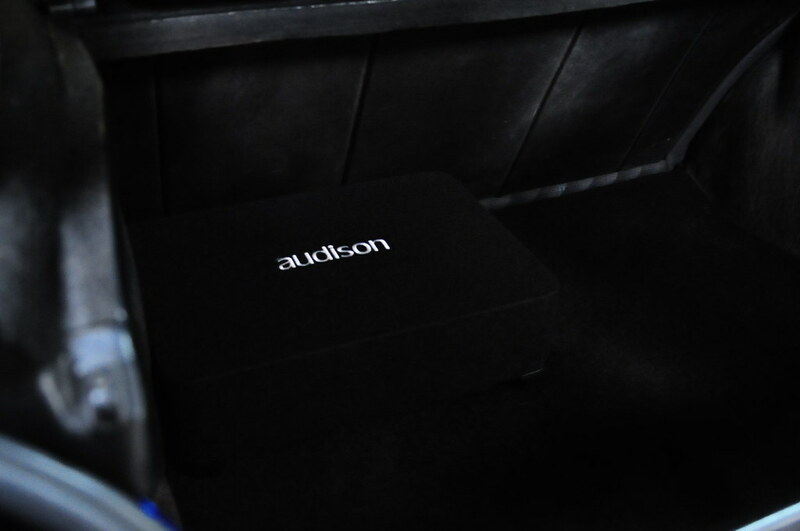 With the interior back together I placed Audisons new AP BX10DS slim subwoofer into the rear left of the boot. This was spec’d as I have been demoing one for a while in my own car as I like to know the products I back are good and it’s been giving my far higher end subwoofer a real schooling. They’ve got this box right. 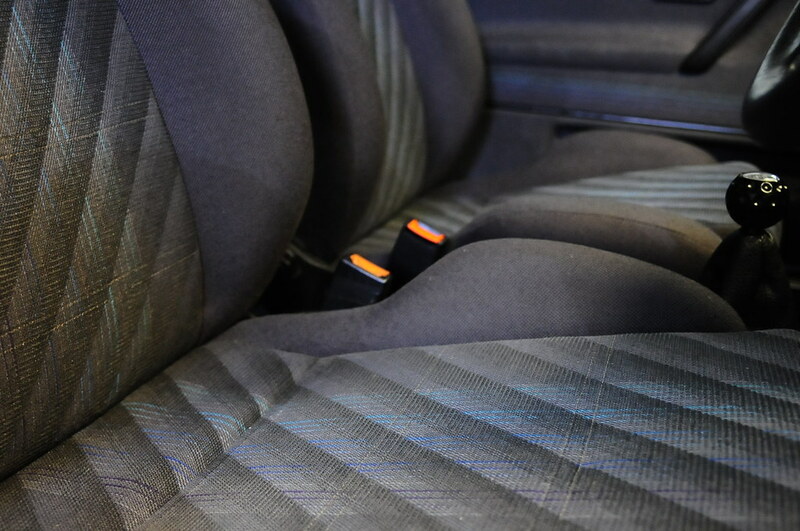 Also its nature is very easily removable, placed on velcro feet it really isn’t going anywhere but within 20 seconds it can be out of the boot and the car is visibly stock again. Again the system was tested, now timing and levels can be set etc and the whole sound came together. Great stuff. Simple things like how impressed Darren was when closing his drivers door brings home the huge benefits of deadening a car, you lose all of the sonic mess associated with closing a metal sandwich style door and you’re left with the simple sound of the door striker and a solid feeling from the door grab handle when you shut the door. He kept opening and closing it to experience it over and over.. Job done. Sound wise, Darren confesses to never having or knowing anything about audio/car audio.. Quite an advantageous situation for us to impress? That’s just what happened, the car sounds great, especially taking into consideration the compromised locations of the drivers. As stated earlier, the right kit spec’d will allow you to control each drivers sound and tailor it to your specific situation, this is one of the beauties of using a DSP in car audio. 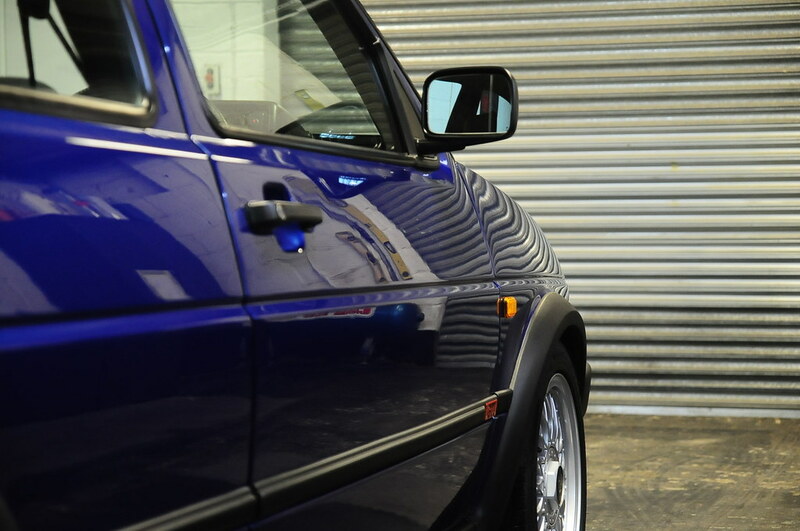 I’m glad I got the opportunity to work on this mk2, however it’s completely destroyed my benchmark for mk2’s. Here’s a bunch more pictures I got on collection day. As always, many thanks if you got this far, social media shares and likes appreciated. All products used throughout this post are available here.